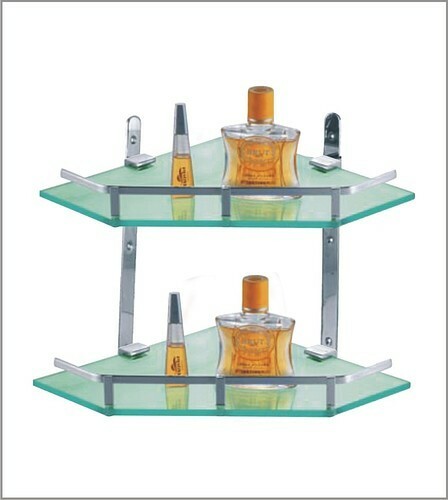 Avail from us an extensive range of Double Glass Shelf that is strong enough to hold various accessories required in the bathroom. Fabricated with premium quality stainless steel and toughened glass, these are appreciated for smooth edges, surface finish, dimensional accuracy, corrosion resistance and durability. Crafted with perfection, our range can be available in different lengths and widths. Designed to go hand-in hand with your stylish mirrors or wash counters the accessories offer supreme functionality. Get to know the accessory range that is in vogue. And give your personal space the much-awaited makeover.